It’s one of the most anticipated nights of the year – an evening when diners can gather with friends, in a restaurant of their choosing, and participate in one of the easiest and most meaningful fundraisers around. 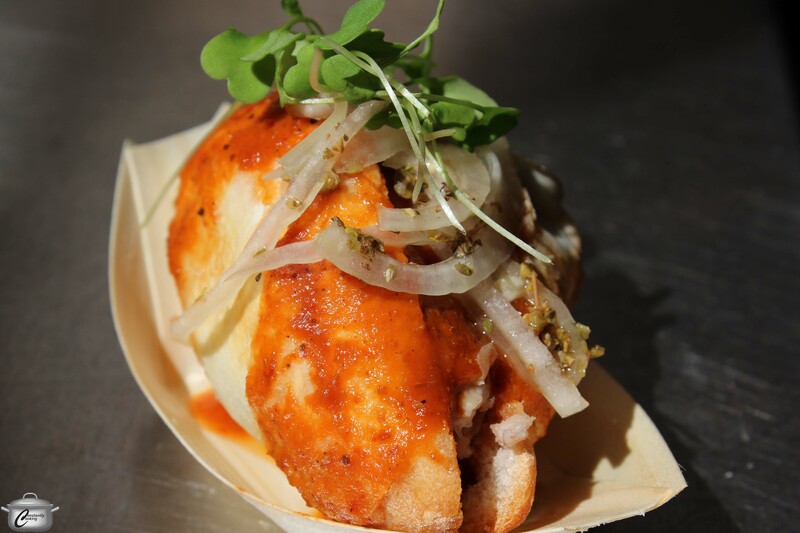 Now in its sixteenth year, A Taste for Life, taking place at restaurants across the region on April 23, provides crucial financial support for two essential local organizations – Bruce House and the Snowy Owl AIDS Foundation. Steph “The Grilling Gourmet” is once again the spokesperson for A Taste For Life. 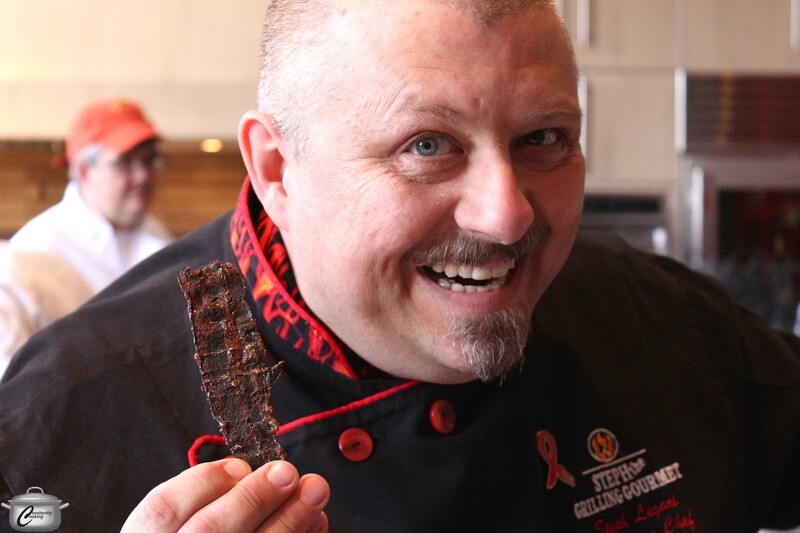 Here, he shows off some of his marvelous candied bacon. At the event launch held April 16 at the Urban Element, attendees learned about the proud history of A Taste for Life and the important work being done by the causes that benefit. With over 3800 people infected with HIV/AIDS in the Ottawa area (including 25% who don’t know yet that they are infected), the tangible and intangible support offered by Bruce House and the Snowy Owl AIDS Foundation is vital. The event has grown in popularity and scope since its inception and now takes place in two dozen communities across Canada. 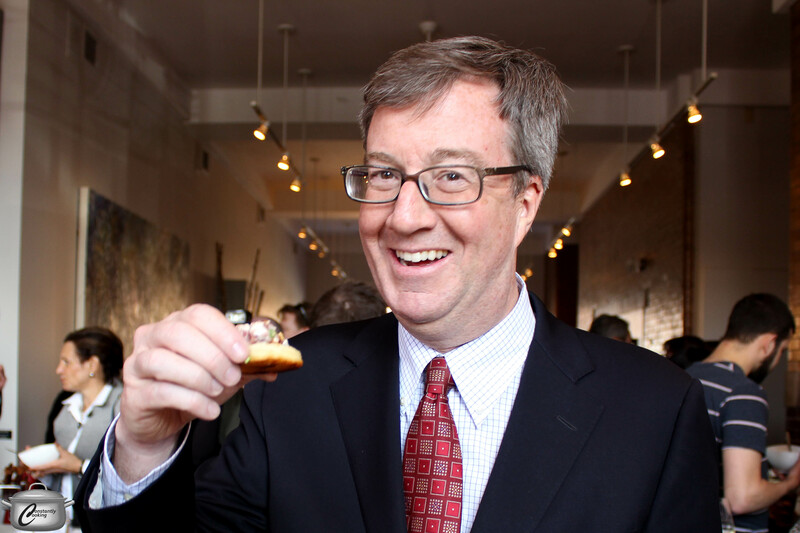 Ottawa Mayor Jim Watson enjoyed sampling the delicious bites on offer at the Taste for Life event launch at Urban Element. Mayor Jim Watson was on hand at the launch, enjoying the delicious nibbles on offer from five of the participating A Taste for Life chefs/venues. The food was a delightful representation of the excellent fare – ranging from casual to elegant – that diners will enjoy on April 23 at any one of the forty-two participating restaurants. “This event combines what people like to do in this community,” he said. “They like to help, and they like to eat.” He noted that there has been a renaissance in Ottawa’s food scene since A Taste for Life started and the event is a true celebration of the talented individuals who make exceptional food every day. 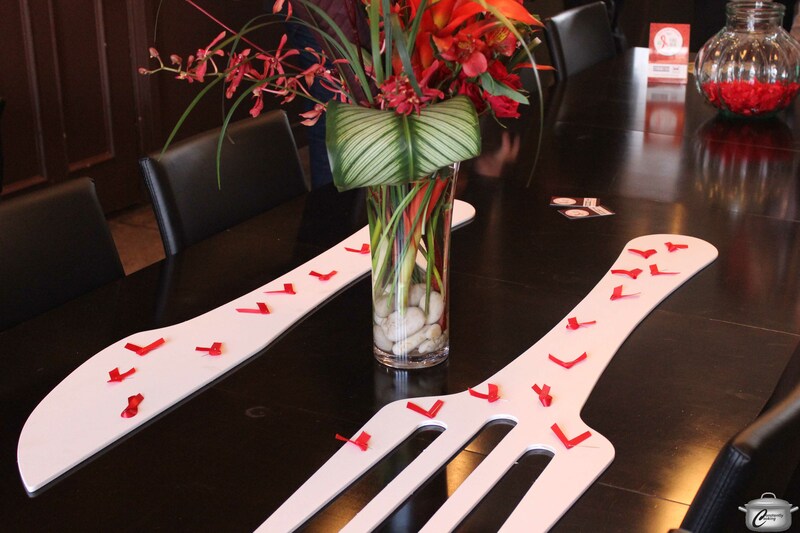 The Urban Element has generously hosted the A Taste for Life even launch for many years. Watson specifically paid tribute to the over 100 volunteers who make A Taste for Life possible (including over 50 from presenting sponsor TD Bank). “We hope one day that we won’t have to raise funds for people living with HIV/AIDS but that day is not yet upon us, so we still have work to do,” he added. 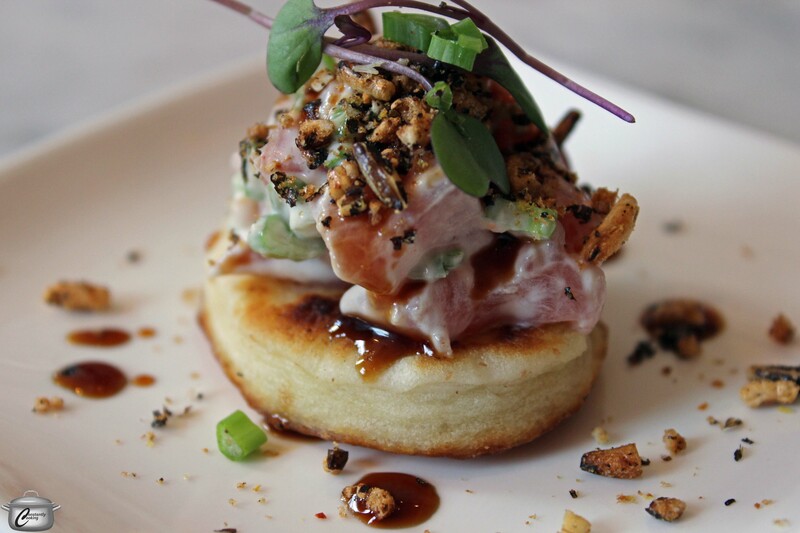 Simon Bell of Oz Cafe’s tasty creation featured a tuna tartare bathed in yuzo mayonnaise perched on a bannock pancake, garnished with puffed wild rice and a tamari, honey and hoisin drizzle. 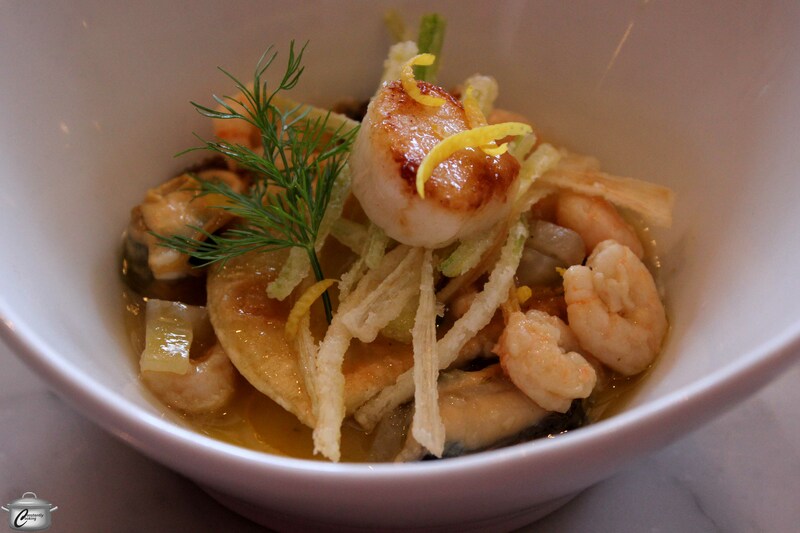 Charles Part from Les Fougères served a heavenly chowder composed of seared scallop and potted shrimp with salt cod ravioli and mussels. 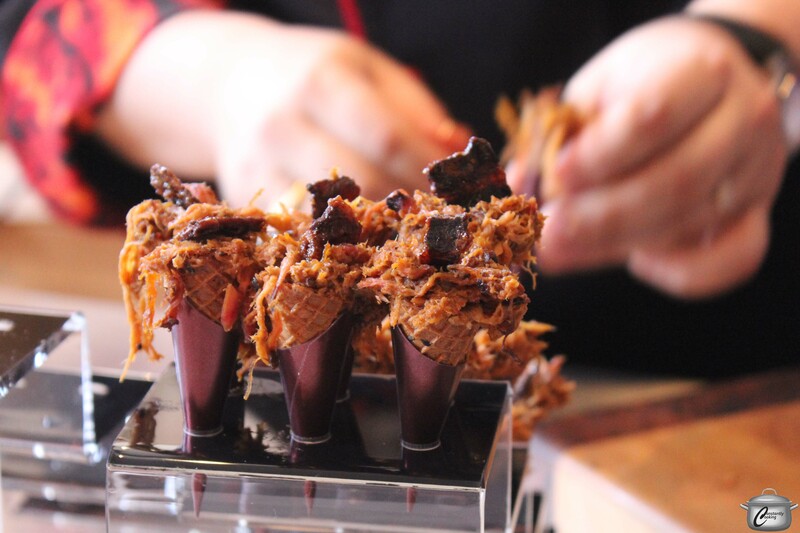 Laura Fletcher and her team from Winchelsea Events supplied tasty Guadalajara-inspired shredded pork mini sandwiches. 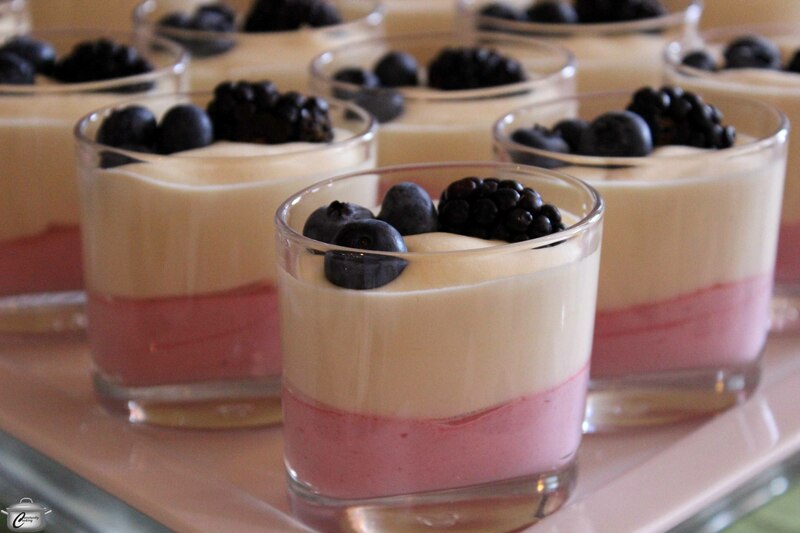 Sheila Whyte of Thyme & Again Creative Catering was on hand to serve yummy berry and passionfruit mousse parfaits. To date, A Taste for Life has raised over $750,000. Last year, 4200 diners participated, with most of the restaurants – each of which donate 25% of their proceeds that night – filled to capacity. Where will you and your friends dine on April 23? This entry was posted in Events and tagged A Taste for Life, Bruce House, fundraiser, Les Fougères, Ottawa, Oz Cafe, restaurants, Snowy Owl AIDS Foundation, Steph The Grilling Gourmet, The Urban Element, Thyme & Again, Winchelsea Events. Bookmark the permalink.